The sun grows stronger, the days lengthen and the urge to tackle spring cleaning blossoms! In many cultures, cleaning for spring is a long-standing ritual. For many of us in the northeast, it is a biological response to waking from our winter semi-hibernation. This desire for a fresh start is the recognition that our mood is affected by our surroundings. 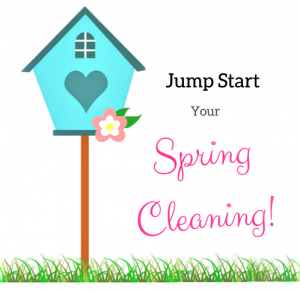 So, to inspire you, here is a breakdown of my top spots to get a jump on spring cleaning. It doesn’t matter where you begin or you if you complete a step a day, or one each week. The result will be a cleaner, healthier, and more organized home when you finish! Start with the countertops. What is here that needs a home? Clear the clutter and papers that land here. Then clean anything that lives here; toaster oven, coffee maker, canisters or utensil holders. Wash the backsplash and walls, as well as the counters. If you have a granite surface, now would be a good time to reseal it. Wipe down the inside and outside of cabinets and drawers. Next, take some time to really clean the appliances; stove, fridge, microwave and dishwasher. And don’t forget to look up! Wipe down any light fixtures or vents overhead. This is a good time to check the expiration dates on food in the fridge, pantry and cabinets! Concentrate on the part of the house that greets you when you come home. 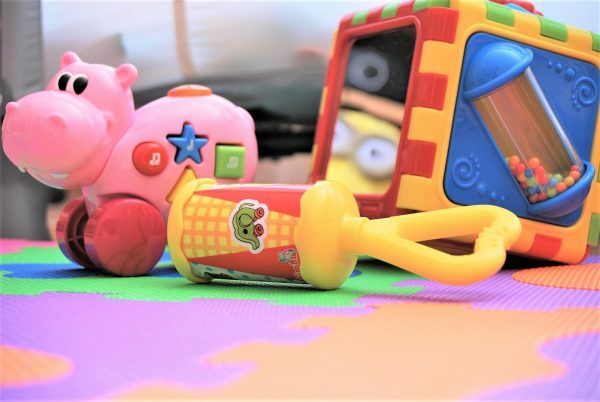 Create space by putting away any clutter that has accumulated over the past few months (the boots, shovels, ice melt need to wait until it is safe to do so – June maybe?). Empty, clean and organize any closets near the entry door. Clutter is inclined to accumulate in these spaces and this is a good time to give them some attention. When you wash the walls, floors and baseboards, don’t forget to clean the entry door itself. Wipe down the inside and out and clean any glass on the sides or storm door. Having a sparkling, welcoming entry space will improve your mood when you come home. If the garage is your entry space, don’t neglect tackling this! Clutter plays a significant role in how we feel about ourselves and our home. No one wants to arrive home to feel anxious, frustrated, and overwhelmed. Take advantage of the mild spring temperatures to remove those piles of clutter that drain your energy. Wash the comforter and blankets as well as the sheets. Pull out the bed from the wall, then clean behind and under it. Don’t forget to vacuum the mattress while the sheets are in the washer. Clear and clean the bedside tables and dresser – inside and out. As the weather warms up, dry-clean all wool clothes and store properly for the summer months. Any change of season is a great time to re-organize your closets and dressers. Don’t forget to vacuum and wipe down these areas while you have them empty. What else has landed here that doesn’t belong? Find it a home, put it away or donate it. Overwhelmed? You know how to reach me! Take some time to deeply clean those spaces that keep us pristine. Obviously, bathrooms should be scrubbed regularly; but now is the time to get into all those neglected areas. Clear off every surface: vanity, tub deck, shelves, back of the toilet tank, etc. Clean the vanity and medicine cabinet inside and out – purge old and expired medications and makeup. Next tackle the tile and grout. (If it has been neglected for a while, call in the pros.) Wash the mats, shower curtain and any window treatments. Finish by making the mirrors spotless and the light fixtures sparkle. Wherever your laundry area is located, give this area some attention. A good scrubbing of the space is important, but don’t forget regular maintenance of the appliances. Front loading washers can develop musty odors, requiring that the folds of the door’s seal be cleaned often. Top loading washers can build up detergent and fabric softener and should be cleaned too. Google to find specific cleaning instructions for your make and model. This is also a great time to tackle the dryer. The dryer’s exhaust should be cleaned annually to avoid any buildup of lint, which can become a fire hazard. You can Google videos on how to tackle this or call in a professional. Finish by cleaning these two key features! Clean all the floors and rugs. If you’re not sure the best way to clean your type of floor check out Real Simple’s guide. Move the furniture, get into all the corners and wipe down the baseboards while your down there. Clean floors make the whole house feel better. Finally, do not skip washing the windows! After a long winter, they need to be cleaned inside and out. Even if you don’t do any of the above steps – this is a must, as it literally changes your outlook. If it is too difficult to tackle yourself, hire a company to do this part for you. Every home is different, so you might create a different jump start list. Look around and take note of those spaces that could use a little TLC in your home. Put on your favorite music and start your spring cleaning! Don’t let the snow dampen your spirits.